Oh, Valentine’s Day — modern society’s most polarizing holiday. There are few other celebrations that can prompt such strong feelings of romance, affection, guilt, and resentment! Some offices may prefer to ignore the holiday altogether, either writing the idea of group celebrations off as just for school kids, or, on the other hand, being wary of triggering negative responses from colleagues who prefer horror movie marathons to candlelit dinners on Valentine’s Day. But, the truth is, in our increasingly busy and work-focused lives, offices that skip Valentine’s Day are giving up a valuable opportunity to express appreciation for staff members — one of the most surefire ways to boost job satisfaction and employee morale. Keep the emphasis on celebrating how much you value your team rather than coworkers’ flirtations or showboating flower deliveries, and the entire office will appreciate it! Celebrating Valentine’s Day at the office is a great way to show employee appreciation. That being said, this is one day when simply bringing the team along to the corner bar for happy hour won’t cut it, as most workers will have their own evening plans to get to. So here are a few ways to throw a lighthearted office party with a simple (and HR-friendly) message for your employees: we love your work! 1) Start the celebration off right with a Valentine’s breakfast — and set the tone for a professional attitude throughout the day. To make the office breakfast a little more noteworthy, serve lox alongside bagels, bring in an assortment of beautiful French pastries rather than a box of donuts, or include a high-quality cheese plate with fresh fruit. 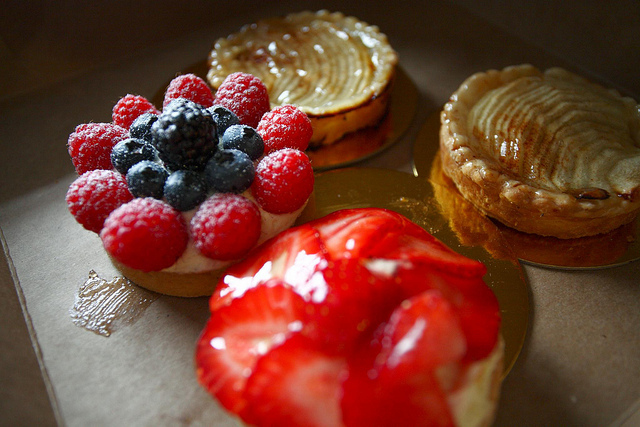 Take the Valentine’s breakfast up a notch with beautiful French pastries. 2) If you’re the boss in your office, consider writing a brief note of appreciation for each employee — on real paper, with a real pen. While emails and memos expressing “job well done” are wonderful, marking the holiday with a handwritten note will really make a lasting impression. 3) Avoid any romantic-meal overtones at your office party by celebrating with a heart-healthy catered lunch. Serve up energy-boosting superfoods like kale salad, whole wheat pastas, salmon, lean proteins, and plenty of fresh berries for dessert. 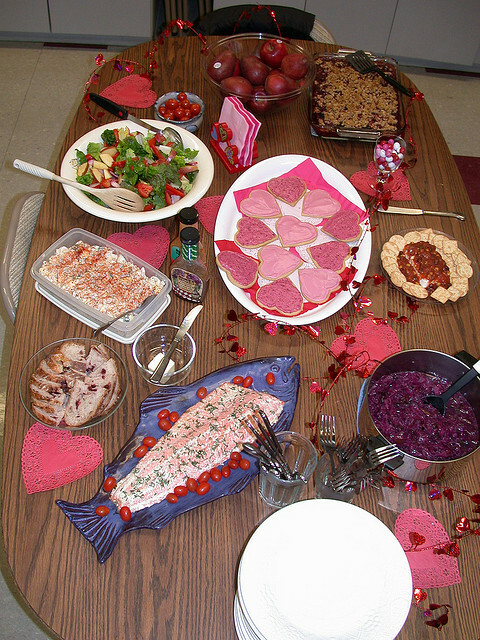 4) Instead of a formal meal — knowing that many employees may be going out for a big meal that evening — arrange for a Valentine’s-themed snack buffet to be delivered to the office break room. Include creamy yogurt parfaits with raspberries, chocolate-dipped strawberries, and granola studded with dark chocolate. Really, anything pink or vaguely heart-shaped will fit in here, so be creative! 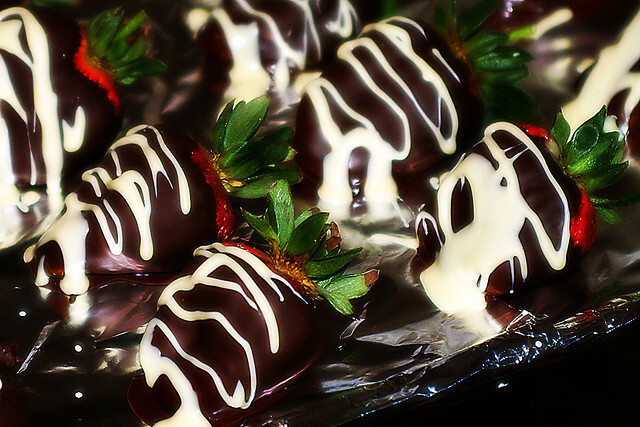 Go for Valentine-themed snacks like chocolate-dipped strawberries. 5) Take the heart-health theme a step further, and bring in a masseuse to treat staff members to stress-relieving chair massages through the day; or, use Valentine’s Day as the launch date for an employee wellness initiative like a softball team or jogging club. 6) Keep it simple, but thoughtful: order in a big takeout lunch from the office’s favorite restaurant, and inscribe a brief message of appreciation on every Styrofoam lid (or use pink Post-Its for paper bags). Unexpected meals are always welcome, and the small effort of personalization will lend an air of holiday-fueled celebration to the office lunch! When it comes to celebrating employees, Waiter.com can help you execute a lavish office party or a laid-back lunch in the break room. 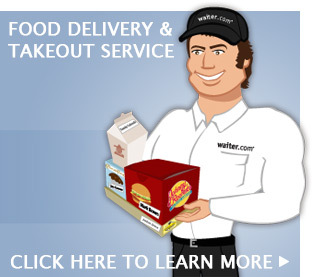 Share your love for your coworkers with a Valentine’s Day meal this Friday — our easy online ordering and Virtual Cafeteria Service make it a breeze!